We live where we build, and our community is part of our family. Lloyd Construction has a long standing tradition of supporting our community in many different ways including volunteering our time, assisting with fundraising efforts, and sponsoring events. Appreciating the significance of collaboration and partnering with our clients means that we have established community relationships that go beyond the completion of a project. We do not put a timeline on partnering once a project has been delivered. 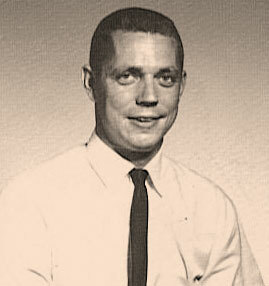 In 2007, the Lloyd Scholarship Fund was established in honor of Bill Lloyd, Sr.
Bill, Sr. was a graduate of the University of Arizona with a degree in Civil Engineering. The scholarship is for Civil Engineering students and, to date, almost $100,000 has been raised and distributed to aspiring civil engineers. Curious what we're up to in the community today? Follow our Newsroom and we’ll keep you posted!